Protecting seedlings is not a new problem for me. I’ve had to find ways to protect young plants in my edible landscape beds from the chicken’s scratching. And I’ve also used available resources to mark where I’ve planted seeds so I won’t mistake a new sprouting seedling for a weed needing to be pulled. But now I use that same resource to protect this young jalapeno seedling. I cut a couple of small stems from a nearby tree. 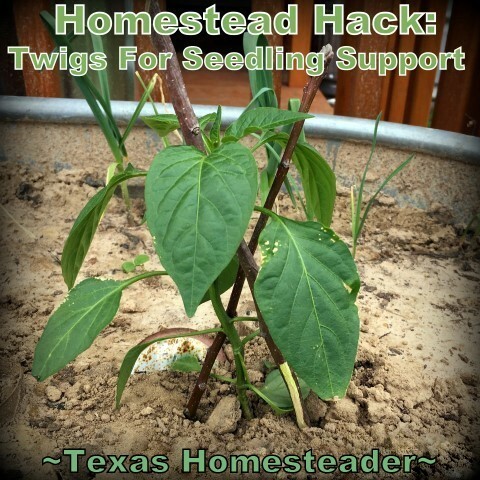 Then I criss-crossed them on either side of the seedling, wedging the plant between the two. No matter which way the wind comes through, this seedling is supported. It worked great, costs nothing and looks very natural as opposed to of using something plastic. 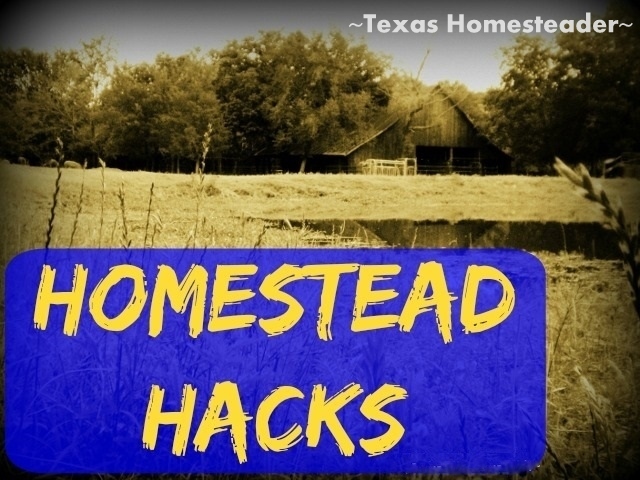 Homestead Hacks are all about using what resources you have. Use Whatcha Got! I have also done that. I have also made a teepee for beans and sweet peas out of larger sticks and twine. When my kids were very young they loved the teepees. Joshua, my University professor son, were just talking about fresh peas a few weeks ago. He loved them raw and fresh off the vine. Up here in Washington state w have wind storms and a lot of bigger limbs fall. If they were nice and straight they were trimmed and set aside for gardening purposes.